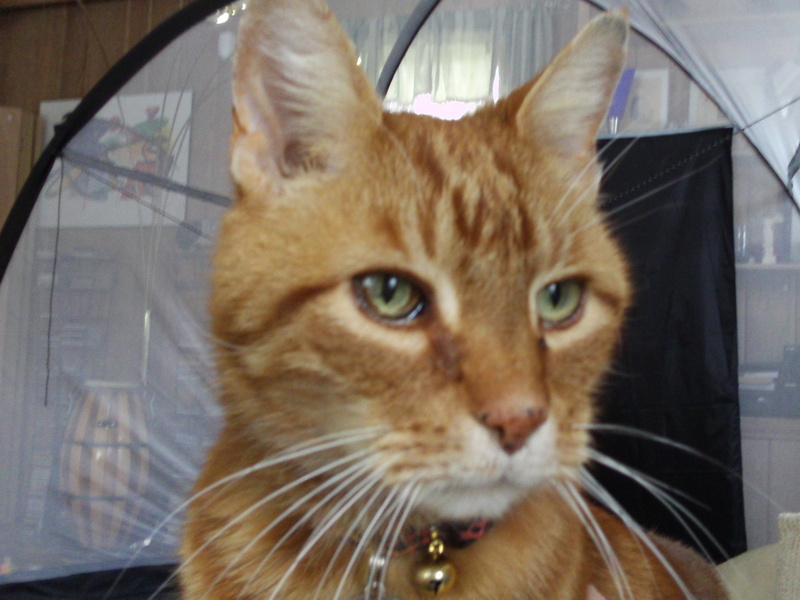 Even though we offer in-your-home cat care, Lori now offers cat boarding in her home in Wynantskill, NY. Customers have requested boarding for various reasons -- sometimes they need to get the cats out of their living spaces for home projects or repairs, bug-spraying, or allergic house guests. Some people feel their cats get more attention during a long multi-week or multi-month absence on their part if the cat is boarding than if the cat stays home. If you are outside of our in-your-home cat sitting service area, boarding is an option for your felines. I do have one room in my house where your cats can stay, separate from my four cats. The room is upstairs, and it has two windows the cats can look out. My street is relatively quiet and our house is very quiet -- no dogs and no kids. The house is small (an 800 sq ft footprint), so even though your cats are in a room with the door shut, my husband and I can pretty much hear everything that goes on in the room from the rest of the house. (No mansions here!) So, needless to say, this is a very personalized care situation for your cats, and does not resemble a kennel, a cage environment, or a "cat condo," at all. We use the room for reading, sewing, and weaving. (Although I have learned to not have any weaving projects going while cats are in residence ... they quickly turn any project into a hammock!) 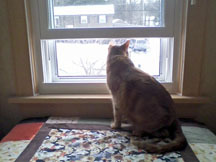 The photo on this page shows you the cat window seat we have. It's an ottoman that fits perfectly into a dormer. Quite cozy! Obviously, I cannot take in more than one customer's cats at a time. For now, my plan is not to expand boarding to a larger facility. I prefer to keep it small. Rates are $25 per full day for one cat. $5 extra for each additional cat each day. Sales tax (8%) is added to those prices. There is a half-day charge for drop-off and pick-up days. Drop-off and pick-up are by appointment only. Call for arrangements. Payment is due when you drop off your cat. We provide a standard litter box, a large Omega Paw litter box (this is covered), or a very-low-sided handicap-accessible box, and scoopable cat litter, ceramic or metal food and water bowls. If you have a special cat litter your cat likes, please let us know. Please bring your cat's regular food with you. We provide reverse-osmosis filtered water. You may bring any toys or bedding your cat likes to use at home. We can provide a radio if needed. 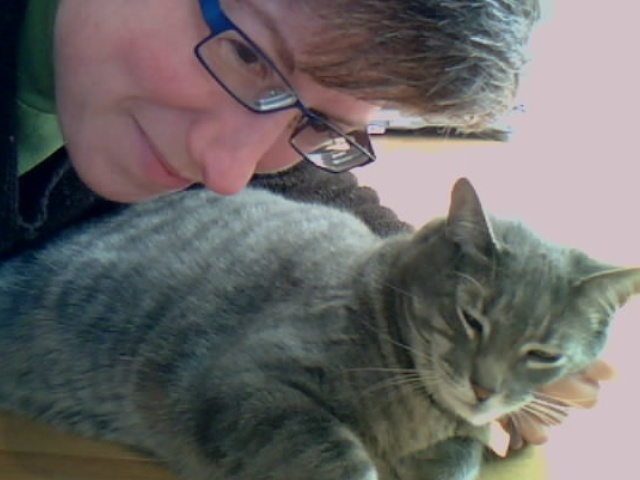 I am looking into setting up a cat-cam so you can check on your felines online at any time while you are away. Our house is now well-insulated, and the upstairs has brand new windows. There is a hot water radiator in the room (it acts as a fine perch for the smaller window! ), and we do install a thermostatically-controlled air conditioner in the smaller window during the summer. You may come over to see the room before deciding to board, if you wish. We look forward to having your cats as our guests!